Q: Why do parents send their children to Weiqi lessons in spite of computer AI domineering humans in the game in this age? A: There are a few points to answer this commonly asked question. 1. Life values learned in the game. As in the list, all items are applicable to real life. I will give each an example in a later article. 2. Cultural values learned in this game. Manners, greetings, patience and respect. These traits are not taught by computers nor by our mainstream school teachers and professors. Our school teachers had taught us to excel in our academics but in human to human relationships, this area has failed miserably. This could be the fundamental reason why social problems are occurring in our society. 3. The true values of winning and losing. This may look abstract but I think it is still not difficult to understand. For example, a person may win in an argument with his friend or spouse in a short-term dispute, but he may lose this person’s friendship in the long term. A very smart and intelligent guy may win arguments all the time, but he may not have a close friend at all as his way of debating may turn away many friends who find him domineering in conversation. Learning Weiqi teaches us how to keep balance in the area of assessing winning and losing situation. In the first commandment of Weiqi, “Do not overly be greedy in winning”, teaches us to keep in check our attitude when comes to winning. 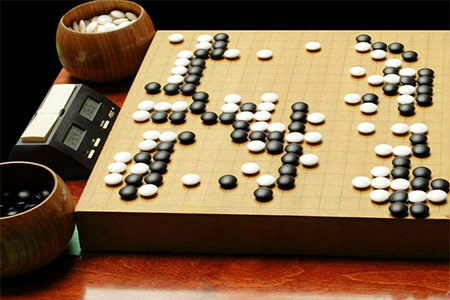 Overall, in summary, the trend of computers winning human may seem to have a negative impact on the development of promoting the game in the short term, but I believe the understanding of the intrinsic (or core nature) value of the game of Weiqi like its cultural and educational values will outlast and turn the trend eventually.